Hotten’s text is remembered for deciphering “Mendicant Hieroglyphics” – coded chicken-scratch that English vagabonds marked on bricks and signposts to indicate where there were choice homes to loot and whether or not there was any danger. But the curious element here (and in the book elsewhere) is the author’s none-too-shy approach to writing about class distinction and race distinction. I call it accidental because you honestly cannot tell if he takes the civilized/uncivilized distinction utterly for granted as capital-tee-truth, or if he’s observing just how wordplay and the symbolic universe of language uncovers the false ideology of gentlemen vs. barbarians that reigned high during Victoria. First he used the term “ignorant” to describe people who construct slang “full of fury.” What does he mean? Does he mean that an uneducated person can see the value in a word that sounds useful despite its being gibberish because he doesn’t understand the difference? Or does he mean that because ignorant people are not educated they therefore have to invent words that sound educated? Both tracts of reason, despite the author’s possible view on class, seem to refute the most racists of beliefs (pointedly those against ‘The Egyptians,’ or Gypsies) by pointing out that invention of language, or seeing a word for what it has yet to become, is far more skillful than the mere usage of pre-existing vocabulary. Second, there’s this comical scenario involving a “lodging-house keeper” (curiously a woman in the story) who’s so stupefied by fake words that she’s rendered mute, and by mute I mean absquatulated. 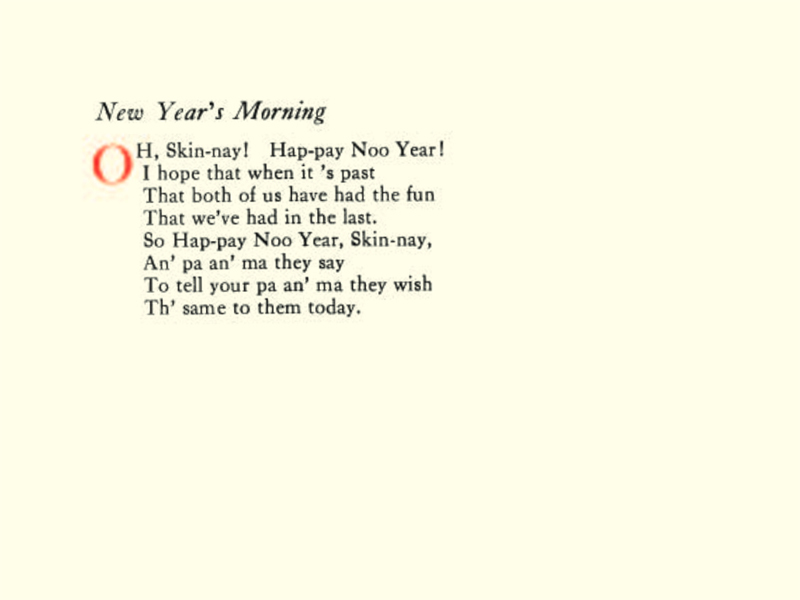 Both of these examples detail the possibility that physical sounds, in the form of spoken gibberish, can allow for the breaking open of the critical space needed to perceive exploitative social practices that normally go unspoken – an attractive premise from which to reengage the wordplay in Shakespeare, The Marx Brothers, or Preston Sturges. 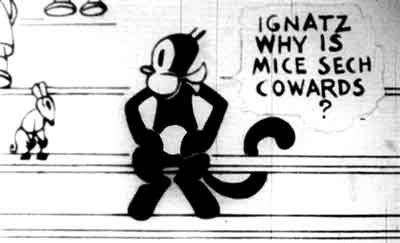 Why’s Krazy Kat use “sech” strange language? Ever since Fantagraphics began re-releasing Krazy Kat in the early 2000’s, academics have been pondering George Herriman’s linguistic alter universe: a Kafka-esque obsession with “K”s, James Joyce like morphemes, and “sech” carefully crafted attempts to match how he wants the characters to say each colloquial line that they sometimes sit on the page illegible for several moments. 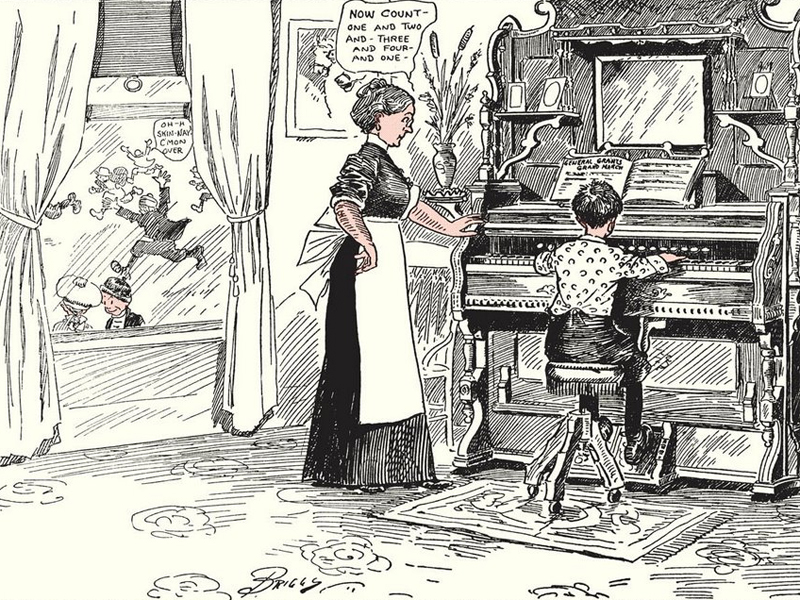 This is a clue to the nature of slapstick and why language is a part of the richness of the genre. 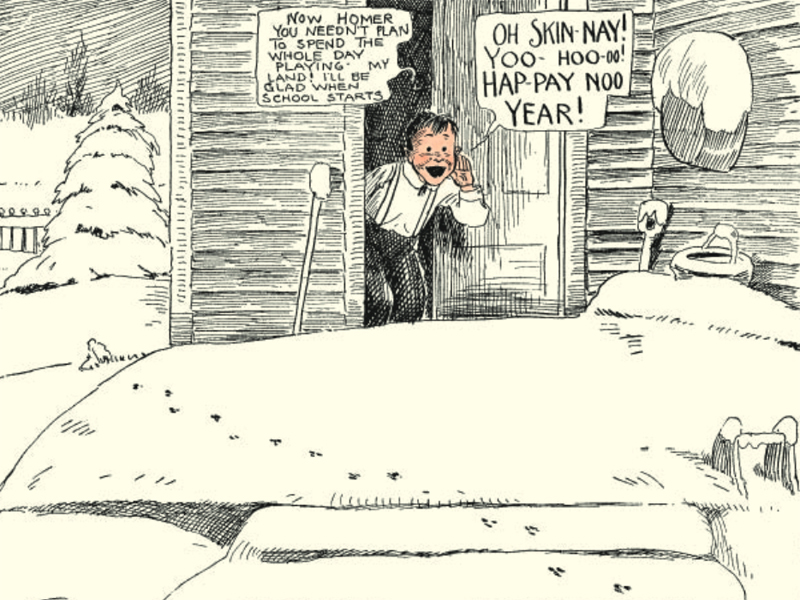 George Herriman adapts all the physical tomfoolery and storytelling mania of silent film to the unique medium of the comic strip, but he also forecasts how important slang, puns, and verbal weirdness becomes continue once sync-sound breaks into the theaters.